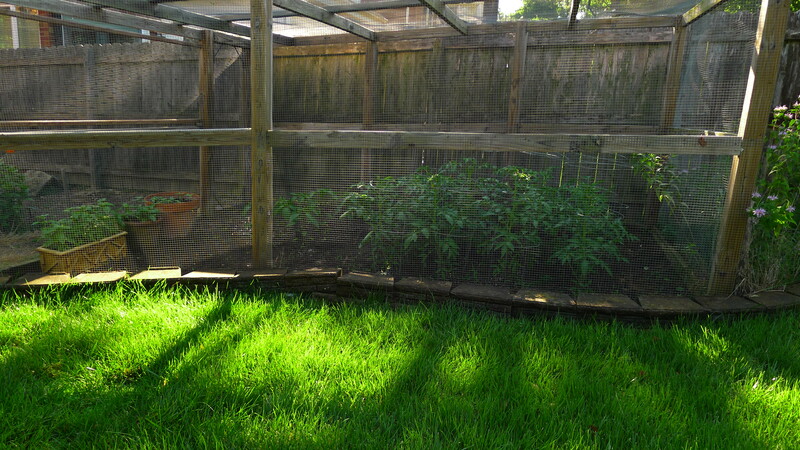 This year’s garden… seeded on April 1st and transplanted on May 22nd. 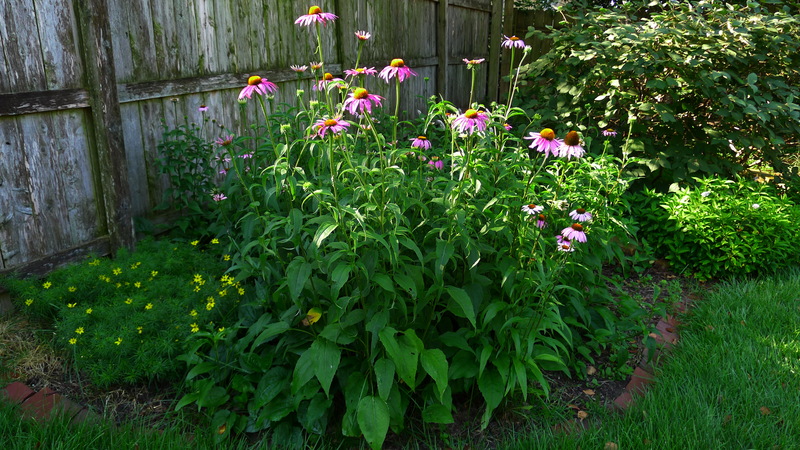 To insure better success I picked items that have done well in past years and omitted items that have not thrived in my yard. 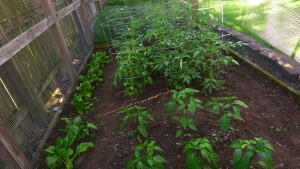 For tomatoes, I chose Cherokee Purple (4 plants); Black Krim (4 plants); Speckled Roman (2 plants) and San Marzano (2 plants). 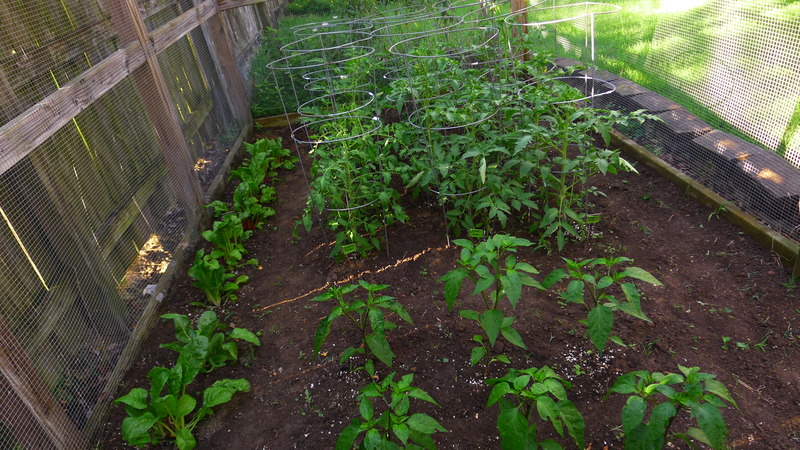 I decided to only plant chard – Bright Lights (4 plants) and 5 Color (4 plants), and to omit kale because of worm infestation in past years. 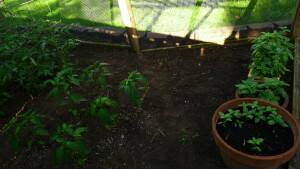 For hot peppers, I chose Early Jalapeno (6 plants). As you’ll notice in the pictures, I rotated the location of everything in the enclosure because last year I had many tomato plants die or fail to produce. Hopefully the crop rotation will be helpful in reducing or eliminating this problem. After the final lettuce harvest I tilled the soil and put the tomatoes in that spot. After heavy rains in April and May we finally have dryer weather. 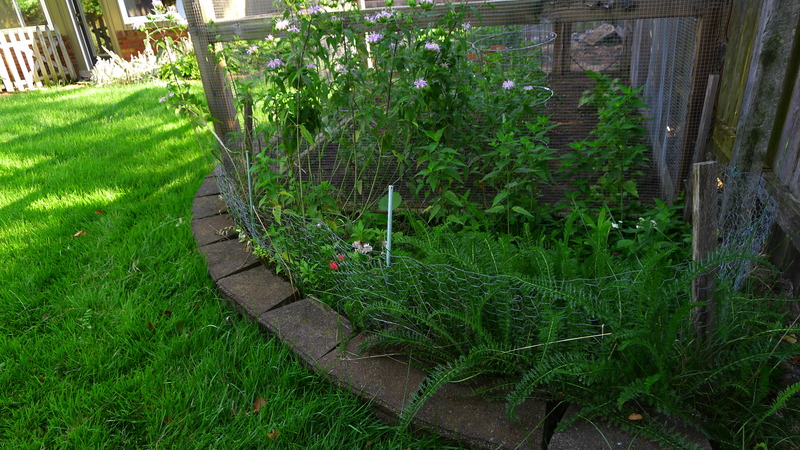 So far, all the plants are thriving in their new locations. My zinnia seeds were almost washed away by the heavy rains, but fortunately they are doing well. In the wildflower patch next to the enclosure I supplemented the area w/ a pack of perennial seeds called “Perennial Bloom”. 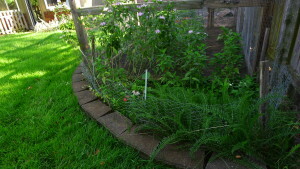 My herbs, especially the sage, suffered from the cold snap we had in early spring. I added a Greek oregano plant as well as a species of lavender that does well in Missouri. 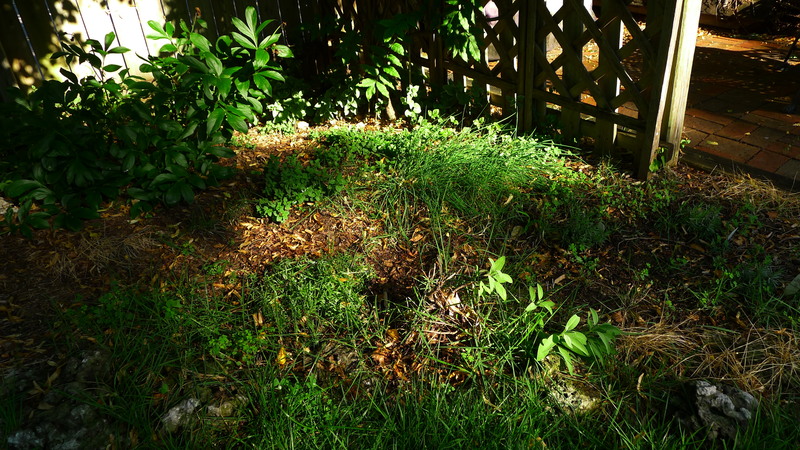 The older lavender plants did not return. 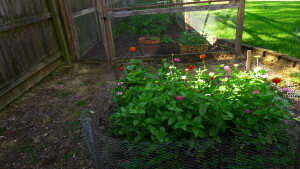 Only Genovese basil was seeded this year in the pots in the enclosure. Some of the seedlings in the largest pot were eaten by something early on, but the surviving seedlings are doing well at this point.